Christmas is right around the corner, and there's nothing worse than being caught without a gift at the last minute. But no need to worry this year! This year you can get beautiful, personal gifts for your friends & family right up until Christmas! 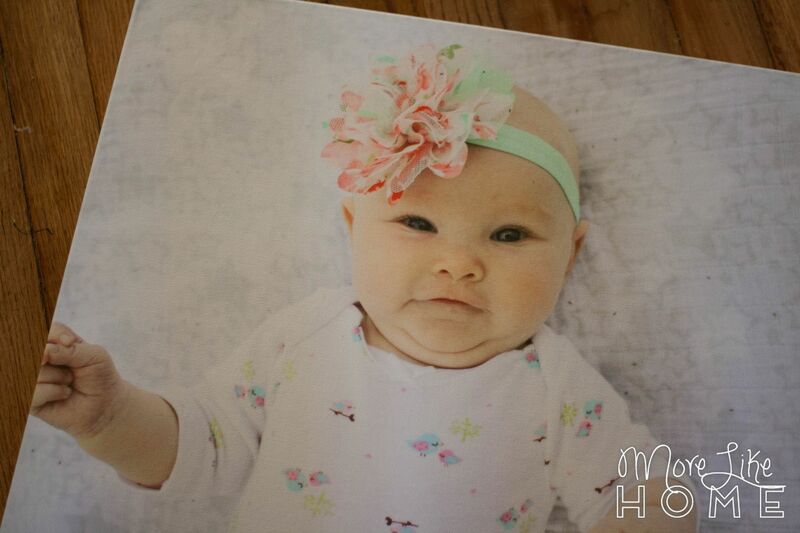 Walmart Photo has you covered with several photo gifts available for free Same Day Pick-Up! Yep, you can order in-store or online and pick it up the same day. 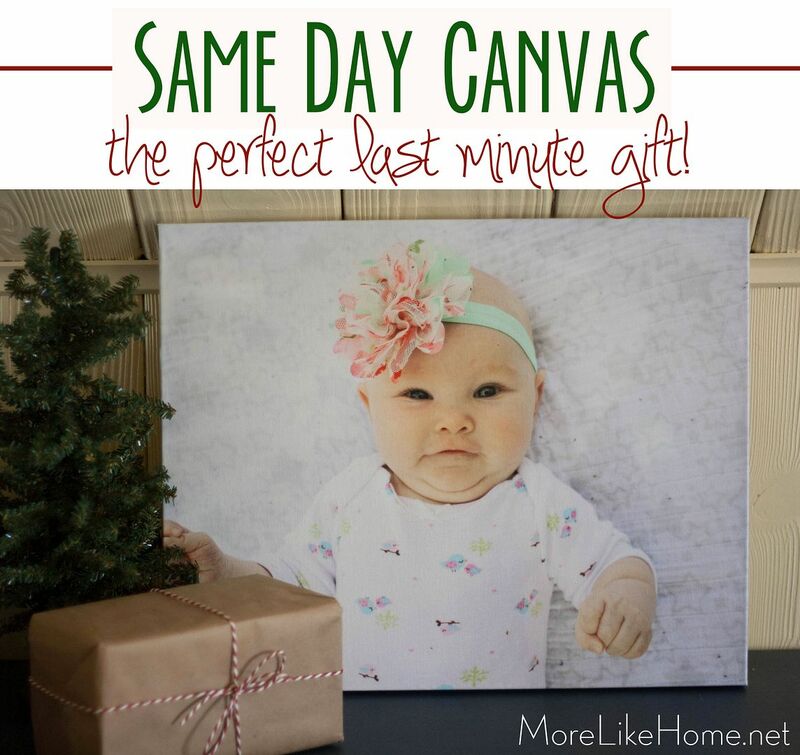 There are lots of gifts to choose from, including my personal favorite - canvas prints! We gave it a try when we were looking for a last-minute gift for my sister. 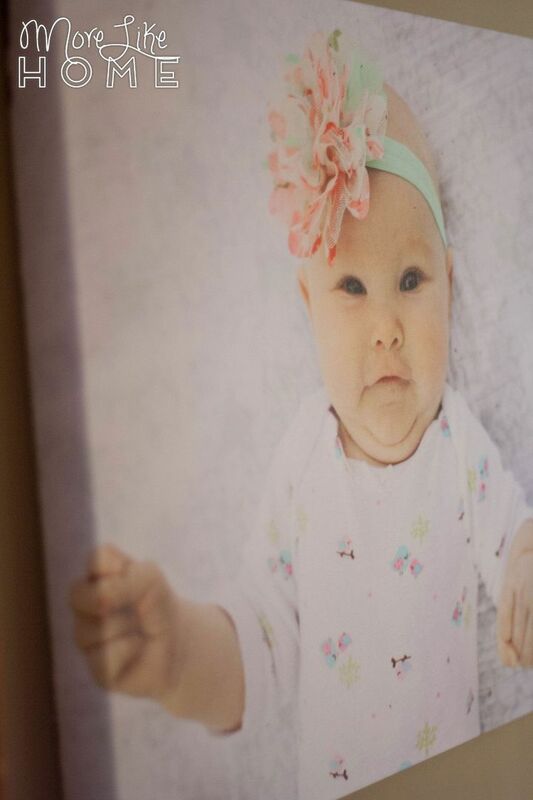 A Same-Day canvas print of my niece fit the bill perfectly. I knew she would love the picture, but I wanted to add an extra special personal touch. 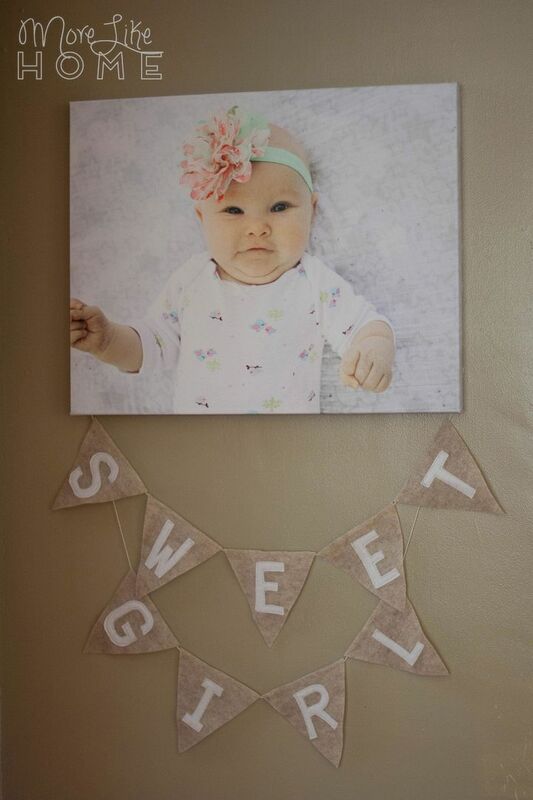 I didn't have a lot of time, but I knew I could pull off a sweet, simple felt bunting. 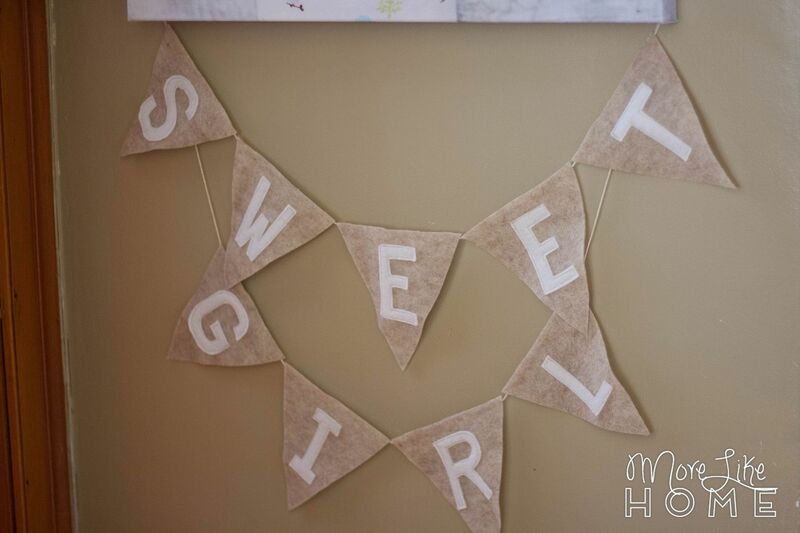 This bunting is so easy to personalize. 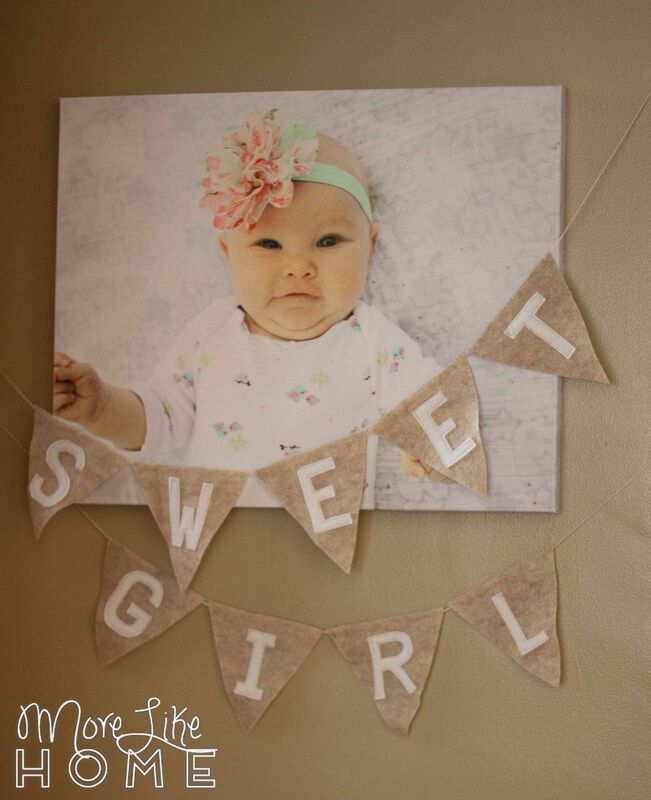 You can make it say anything - a name, a favorite nickname (I went with "sweet girl" because that's what my sister calls her), or even a word like "family" to pair with a family photo. 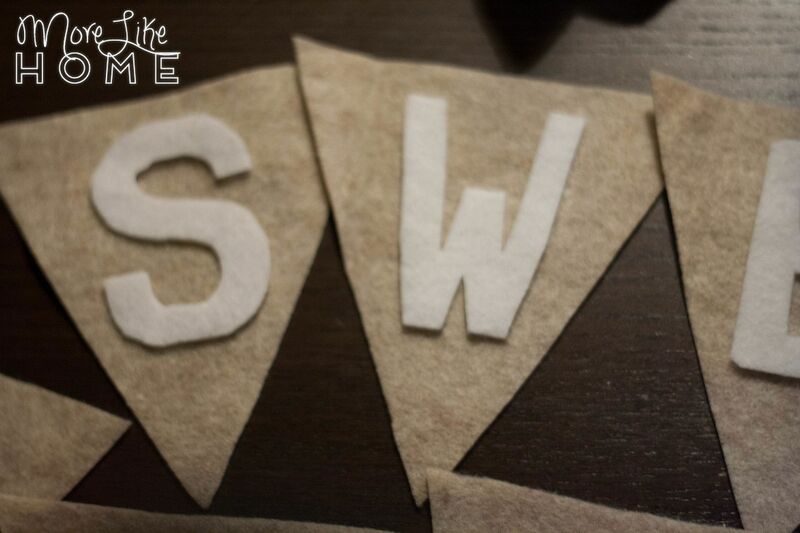 Want to make a bunting to go with your own canvas? It's fast and easy! Start by cutting out some triangle pennants - one for each letter. I cut one the size I wanted, and used it as a template to cut out the rest so they would all match. Next I cut squares for the letters. 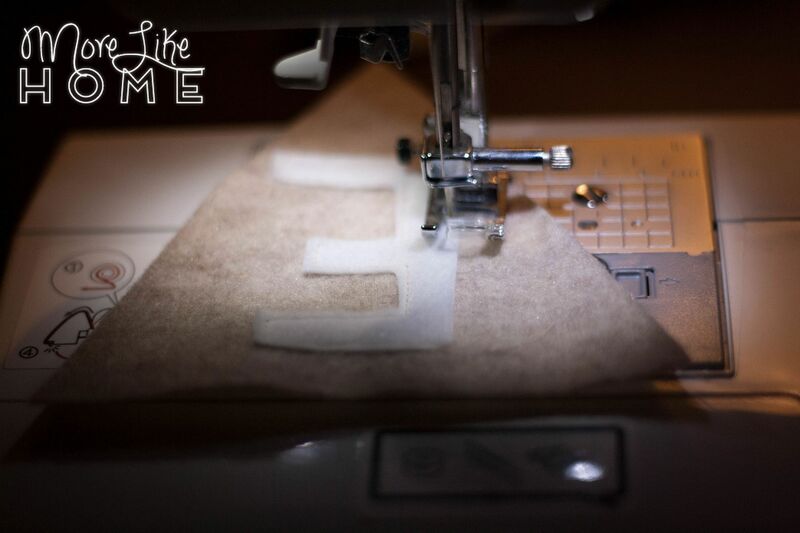 This is the easiest way to make sure your letters all turn out the same size if you're not using a pattern. 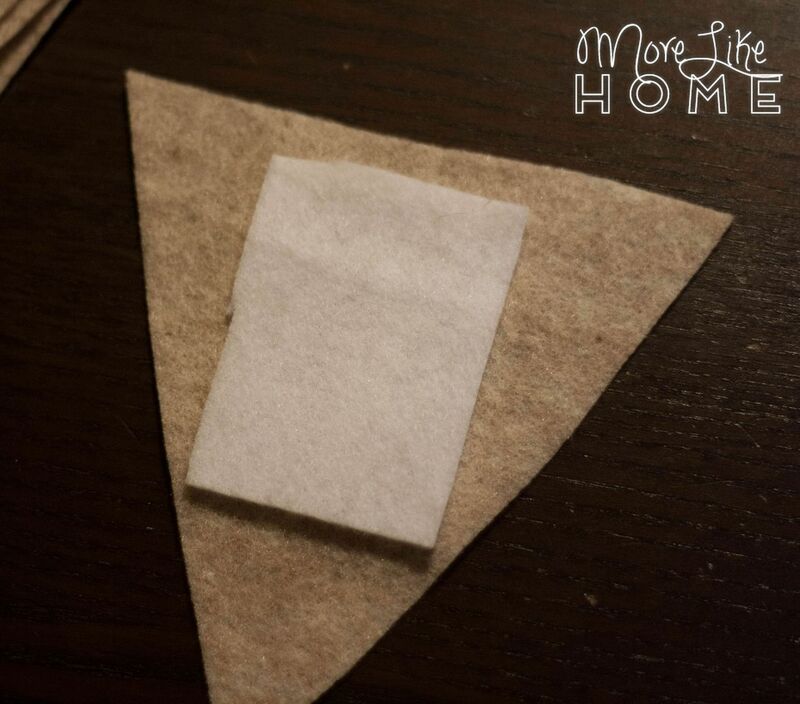 I cut a square to fit on the pennant (see the pic below) and then used it a a template to cut out enough squares of the same size. Then I cut a letter out of each square. I just cut it freehand without any kind of pattern. To make sure they all match, just try to use as much of the square as you can. So, for example, my "s" touched the top, bottom, and both sides of it's square. Center a letter on each pennant and sew around the edges to attach it. 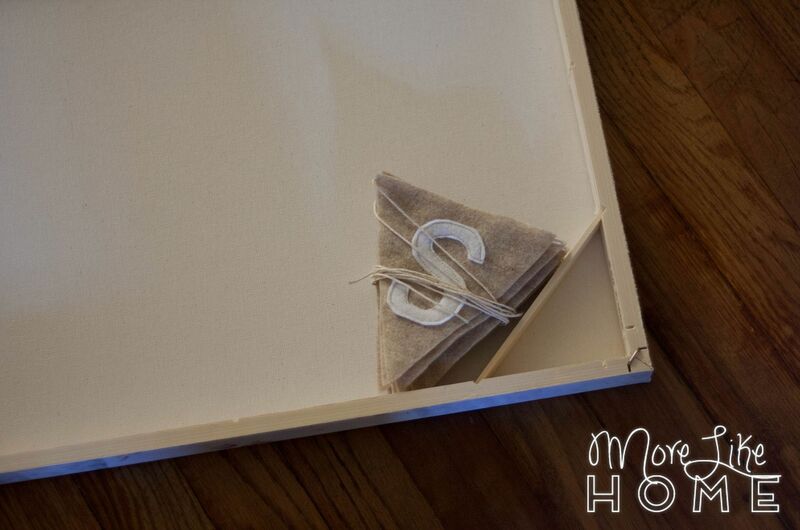 You can also make this project no-sew and hot glue the letters on instead. 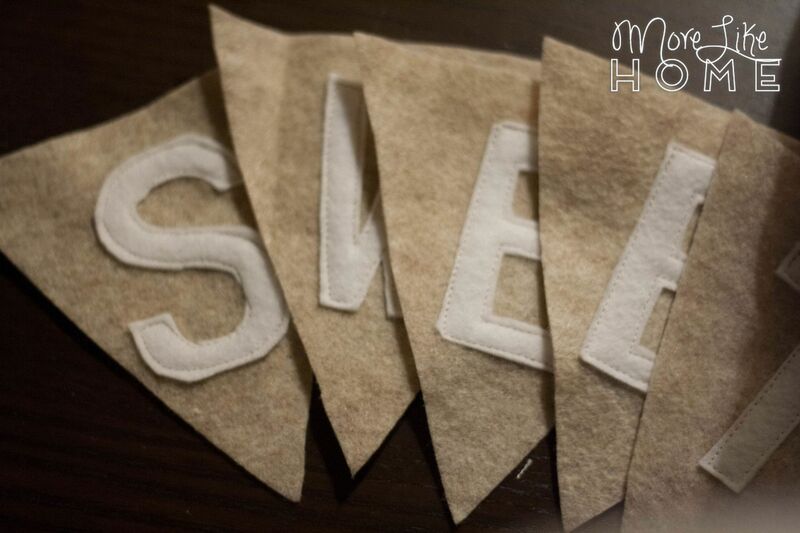 Once all the letters are attached, use a hot glue gun to glue a ribbon or string to the back of the pennants. That's it! You can tape the ends of the string to the back of the canvas so it's ready to hang. 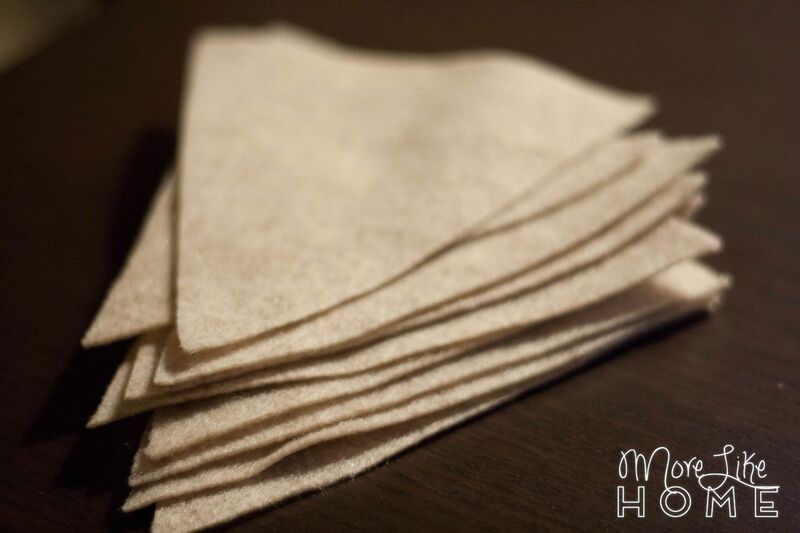 Or you can can wrap them up in a little bundle and tuck it into the back of the canvas before you wrap it. Then whoever receives your gift can have fun hanging the bunting themselves! 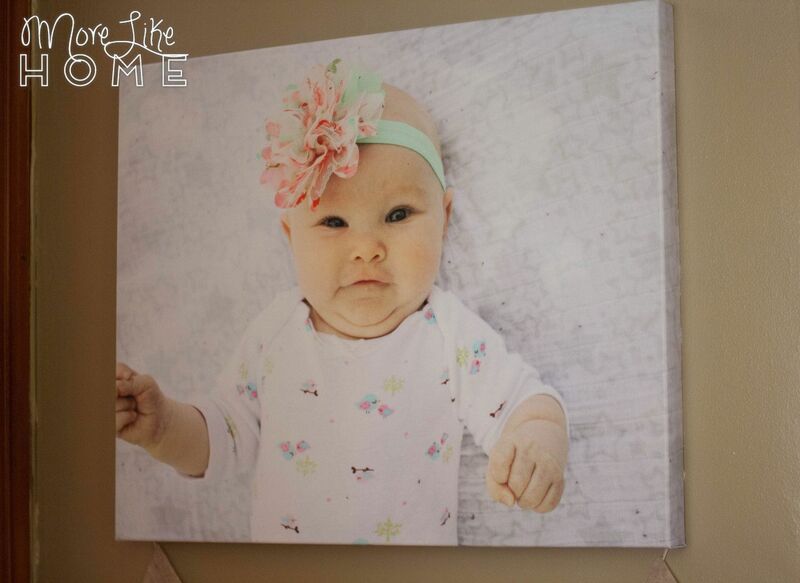 This 16x20 canvas is on Rollback for only $34.96 through 1/5/16 (normally $39.96) so it won't break the bank. 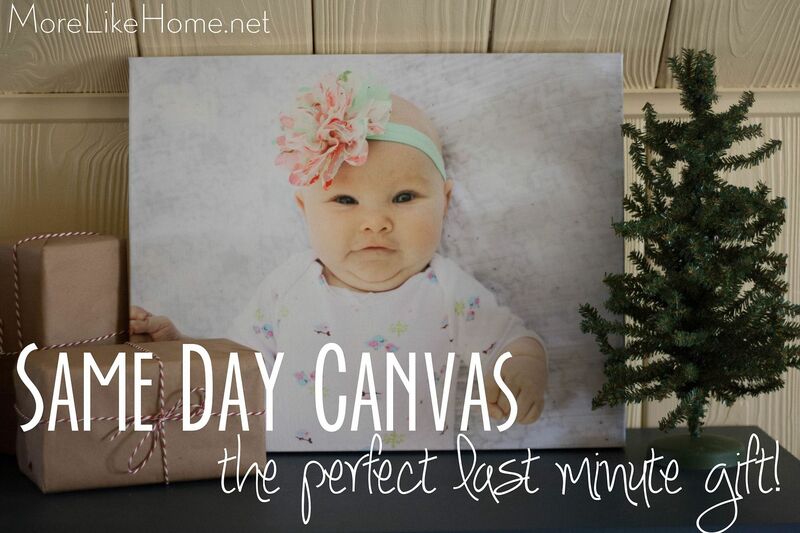 It's one of the best deals I've seen for a canvas this size! 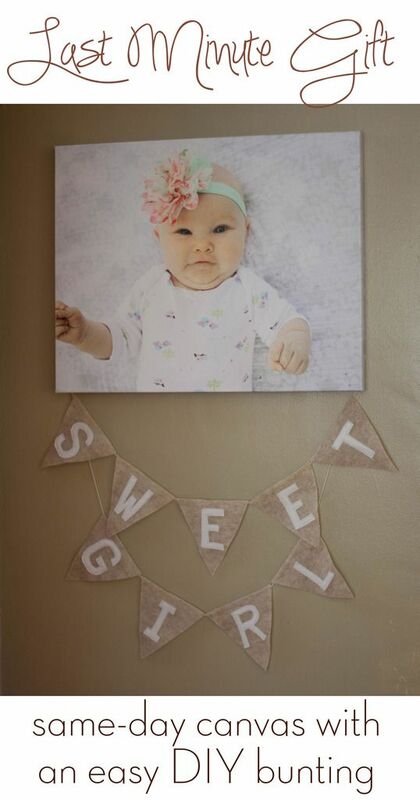 You can also choose an 11x14 canvas for Same Day Pick-Up (it's on Rollback for $24.96). Walmart.com/photo is also running a Cyber Week deal that if you order online and pick up in store, 11x14 is $22.47 and 16x20 is $29.97, good through 12/7. You can order in-store with their quick and easy Mobile Image Transfer or by connecting with a cable at the kiosk, or you can order online at Walmart.com/photo. Then pick up at up to 3,500 locations later that day. You can see all the Same Day gift options here. They also carry many other photo gift products that are available for shipping, and Walmart Photo is offering free shipping on all cards and gifts through 12/30/15! 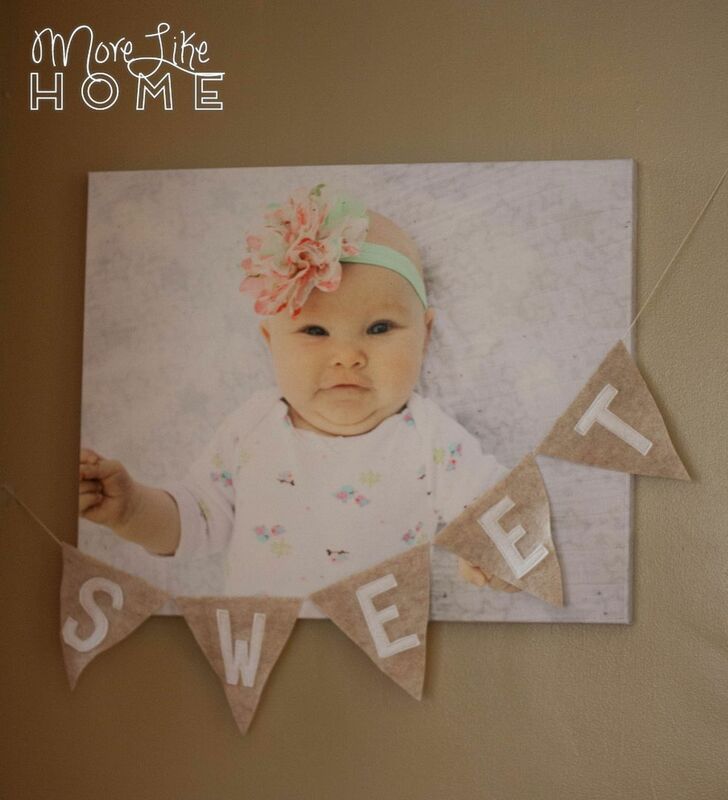 For more info about Walmart Photo you can visit them on Facebook, Twitter, Pinterest, Instagram, YouTube, and Google+. Last minute gifts have never been easier!